"Where champion skins offer alternate fantasies from a champion’s base thematic, chromas serve up a way to further personalize specific champs or skins," said Riot. "As a re-imagining of the original champion or skin’s look, chromas allow you to make a champion or skin your own. A chroma pack includes three chromas that modify either a champion’s base or one of their skins." 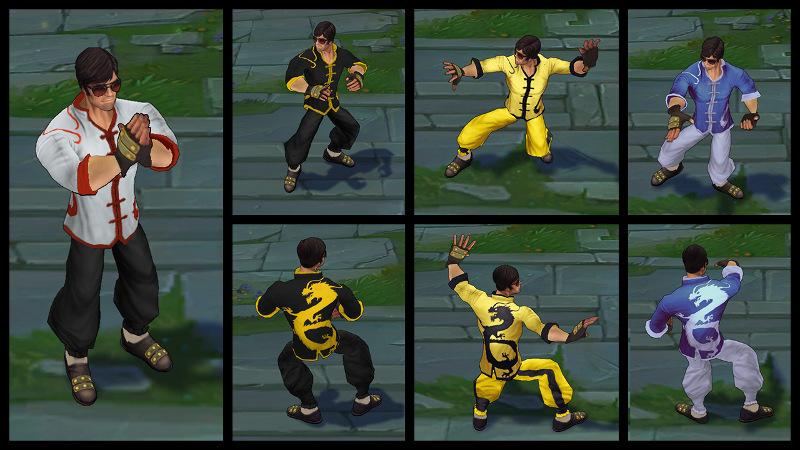 At first, they'll be offering chromas for Lucian's base skin as well as Dragon Fist Lee Sin. You can check them out in the gallery below. 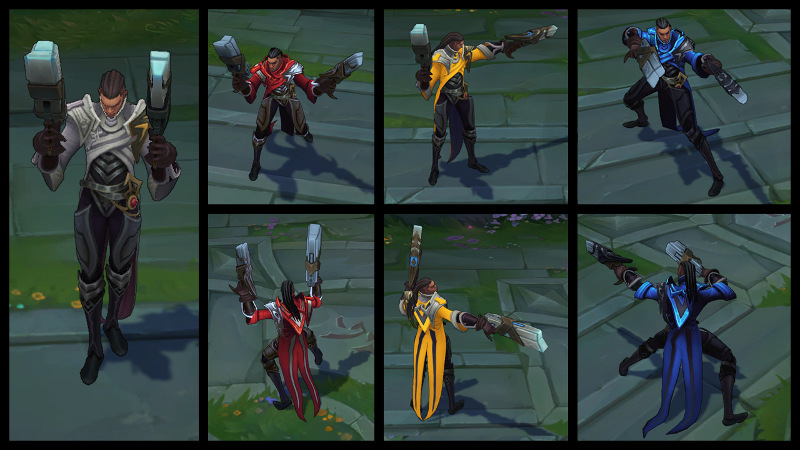 While these chromas just change the Champions to new colors, others could also alter the particle effects on the characters. "If we just always leave particles as they are, we could miss out on tons of chroma packs that without particle changes wouldn’t hit our quality high-bar." Each chroma pack will cost 590 Riot Points and can be found in the "Bundles" tab of the in-game store. The price will be bumped up accordingly if you don't own the corresponding Champion or skin. Once you've unlocked them, they'll appear during Champion Select under the Skins tab. While chromas can only be purchased for RP at first, Riot may provide alternate ways to unlock them in the future. For example, they might become rewards for the upcoming Champion Mastery system. It's also possible they'll be purchasable with Influence Points. I really hope the chromas end up being a Champion Mastery reward. These recolors are nice enough to be desirable but not nice enough to be worth cash in my view. They'd make for a fun reward for players that sink a lot of time into a specific character. Though chromas are only offered for two Champions at the present time, Riot plans to add them to other characters as well. They mention in the chroma FAQ that Zac would be an "obvious" pick for chromas but any other member of the game's roster could be chosen as well. "Any champion or skin could get a chroma pack, and our criteria going forward will be guided by popularity, interest, and suitability but not mandated by any one of those things. We strive to deliver quality products you can enjoy. We finally hit a quality bar that felt good internally and seems like a solid value, so we’re putting them out there for everyone to tell us what they think." Chromas aren't the only curveball thrown at League of Legends players this week. Riot recently implemented Ultra Rapid Fire mode, a speedier version of the usual 5v5 action. Ultra Rapid Fire is the latest in a series of temporary, experimental modes released by Riot.